Buddha # 307 – clip it. Clip it good. 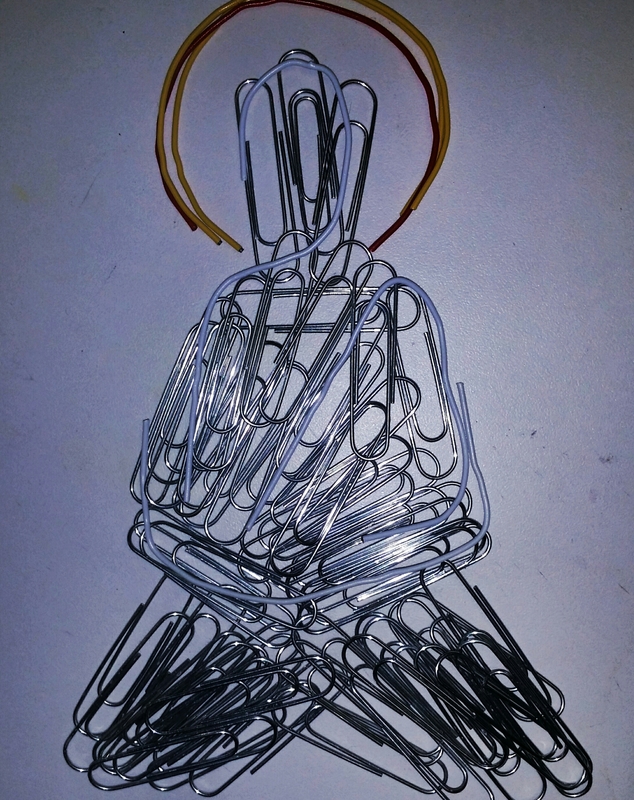 Arranged metal paper clips, bent coated clips as accents.